Keep tabs on your blood pressure with the Advanced One Step Blood Pressure Monitor from Life Source. 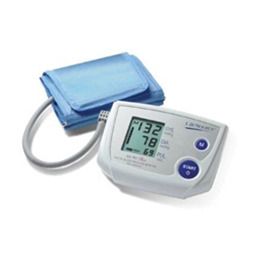 It's an easy-to-use blood pressure monitor that has a digital display, making it easier to read and understand. Clinically validated for accuracy, there are just three simple steps to getting an accurate blood pressure reading: slide on and secure the blood pressure cuff, press the start button to automatically inflate and begin measurement, and then wait for the reading to display your blood pressure and heart rate on the digital panel. It has never been easier to keep track of your blood pressure!